David Powers King: The WOVEN A to Z Challenge: B is for Brooklet! The WOVEN A to Z Challenge: B is for Brooklet! Regarded by the stable hands as a perceptive mare, Brooklet is Princess Tyra's horse. She has a sleek white coat, a long white mane, and she has dark eyes. Brooklet was given her name shortly after Tyra found her drinking from a brooklet as a filly. She is protective of Tyra, has a very affectionate nature, and is easily spooked by both adders and ghosts (click on image to enlarge). Tomorrow: C is for Canis. I'm David, and "from then on, she and Brooklet were bonded." Another awesome drawing by Al! He captured Brooklet perfectly. Love Brooklet. Hey, I'M spooked by ghosts, but not by adders. So what are more common adders or ghosts? Beautiful drawing of Brooklet and lovely description too. That's a cool looking horse, David. Also sounds like quite the loyal steed. What a great theme and a lovely tribute to Tina.... Looking forward to reading more about your characters and seeing FD's art! 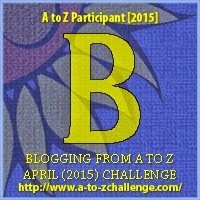 My first time visiting from the A to Z Challenge, and I enjoyed learning about your Booklet. An interesting name for a lovely creature. A good horse is a treasure! A white horse looks extra special. A lovely piece. Lovely picture, she looks very attentive, as if she is looking to Tyra for something. Hi David and Al - lovely drawing of Brooklet - and I love the name ... while I can see some weaving here between Brooklet and her mistress ..
Brooklet and I have something in common. Ghosts are spooky. Nice bio, it is interesting to get engrossed about the life of a horse. Love it. Love the picture too. If I can't have a dragon, I'll have a horse. I have never understood why people like horses when we have cars. Trust me, I've been on the back of a few. 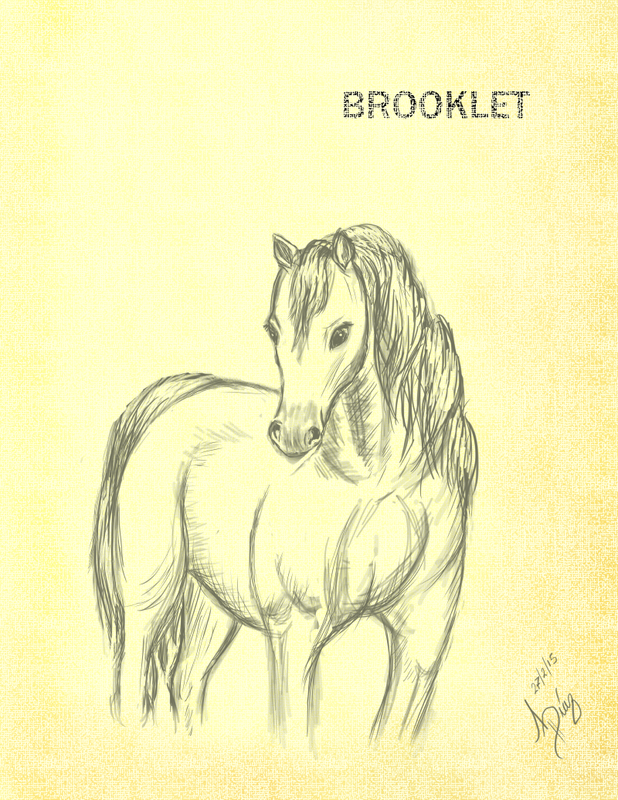 But Brooklet sounds like an angel horse. That is a fine looking horse. Sounds like an intriguing book, and the illustrations are beautiful. She's one beautiful mare. Noble enough for a princess! And the sketching is beyond gorgeous. Oh, I love horses. And another wonderful drawing, too. So happy you featured a mount. Because there's always a bond between a horse and its rider. Love FD's illustrations, and getting to know the Woven characters...! Thanks for stopping by my blog. I liked the bonded quote at the end of the bio and the illustration. Your description reminds me of the relationship between my daughter Hannah and her horse Prissy. They play together: push each other, hug one another, chase one another. And your guest artist IS doing an amazing job! What a beautiful drawing! I love horses and horse art. Well, both you and Al and soooo talented! It's a wonderful theme and so awesome that it's in tribute to Tina! THIS is why AL was made to do :) AMAZING pictures... golly.... and a big fat WOW to boot!! Lovely drawing; horses capture my eye. Honoring Tina Downey is so precious. What a lovely sounding mare and a gorgeous drawing. Great drawing, and good description of the bond between a girl and her horse! Great description of the horse in such a short post. I want to meet this horse:) I love the illustration-wonderful! Thanks for sharing. Just making my rounds through the challenge! Thanks also for visiting my blog. I remember Brooklet from my read. The beauty of rider and horse as one. I'm a horse girl so please let me ride it!!! Such a beautiful drawing. Brooklet reminded me of when I was a little girl and wanted a pony haha. OMG, Sir David, I love the posts so far! Our Father Dragon is a genius. The artwork is stunning; this is a perfect collaboration. I can't wait to see the rest of the posts. You guys totally rock. Lovely illustration and great description, one of the things I enjoyed about last year's A to Z challenge is finding out about new books! I can't say I get along with horses, they tend to try to kill me, so I doubt I'll ever bond with one soon. But kudos to Princess Tyra on achieving it! I like the sound of Brooklet. I'd be easily spooked by adders and ghosts too. Awesome sketch.